Creating a new account is easy. Sign your business up today. 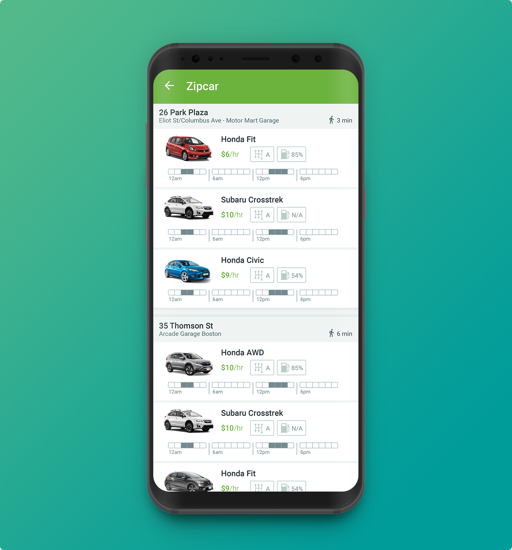 Set up a Zipcar account for your company with one, simple billing system for you and your employees. 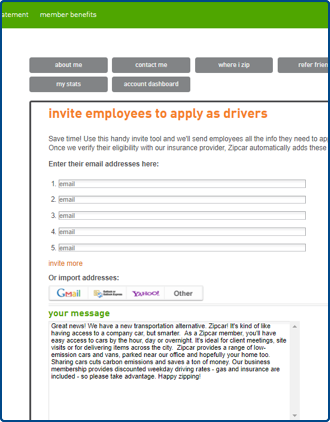 Invite employees to sign up as drivers. They will need your approval to join the account. Approved employees will receive a Zipcard by mail in 3-7 days. Once they activate their Zipcards, they’re ready to hit the road. How long is the sign up process? Create your business account online in minutes. After employees apply to drive, expect one business day to verify drivers licenses. Once approved, drivers receive their Zipcards by mail in 3-7 days. Then, drivers can book and drive Zipcars immediately. Who is eligible to be a Zipcar member? Anyone can apply for Zipcar membership if they are at least 21 years old (or 18-20 if a student at a university affiliated with Zipcar) and have a valid driver’s license. For non-US based licenses, or residents of Michigan. Learn more. A Zipcard is an access card that unlocks the Zipcars. Remember, bring your Zipcard with you for every reservation. How do I add and remove drivers on my business account? 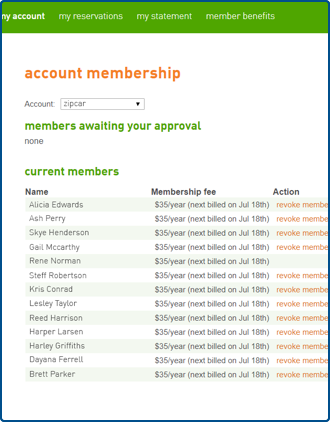 To add drivers, access the invite employees tab of your account page. Enter the emails of the drivers you’d like to add, include a message, and click send invite. To remove drivers, click manage drivers on my account on the “about me” section of your account page. 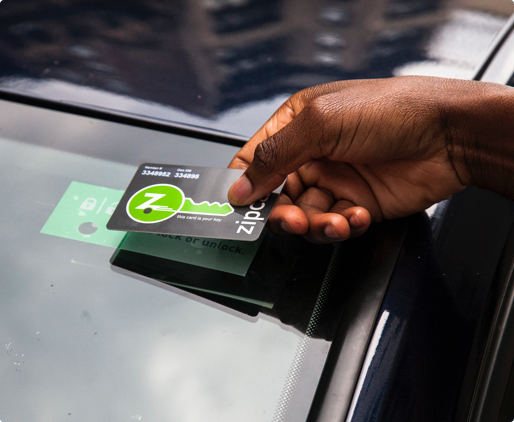 Once drivers receive and activate their Zipcard, they can book Zipcars immediately on our website or through our app. How do drivers book reservations? 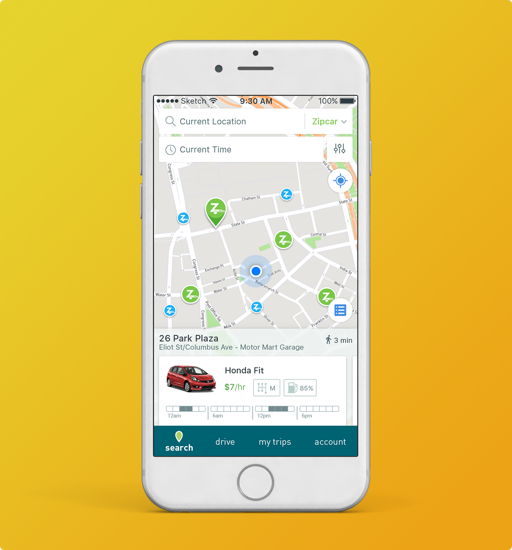 Drivers can reserve a Zipcar and select a timeframe either on our website or on our free iPhone® or Android™ app. 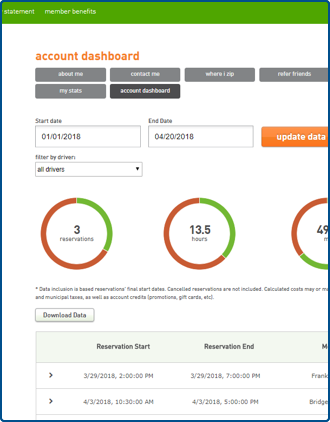 How do drivers cancel or modify a reservation? Drivers can cancel or change a reservation up to 30 minutes after booking at no charge via the mobile app or online under My Account My Trips. For rules on cancelling or changing without charge before a reservation starts, learn more here. Where do drivers return their Zipcar? The Zipcar must be returned to the same spot where the driver picked it up. How do drivers locate their Zipcars? We’ll send details about the Zipcar and location information in a confirmation email. Drivers can also find location details under My Trips in the mobile app. What if a driver gets into an accident or needs roadside assistance? Every Zipcar membership includes insurance (learn more about insurance coverage here) and roadside assistance 24 hours a day, 365 days a year. For help on the road, call 1-866-4ZIPCAR and we will take care of the details. The gas card is located in the driver’s side visor of every Zipcar. Drivers will need to provide the vehicle mileage and their Zipcard number when they go to the pump. Remember to always return cars with at least ¼ tank of gas to avoid fees. Only active Zipcar members are allowed to drive Zipcars. Learn more. Before drivers hit the road, it’s important to read up on our six simple rules of car sharing. Inspect the Zipcar inside and out. 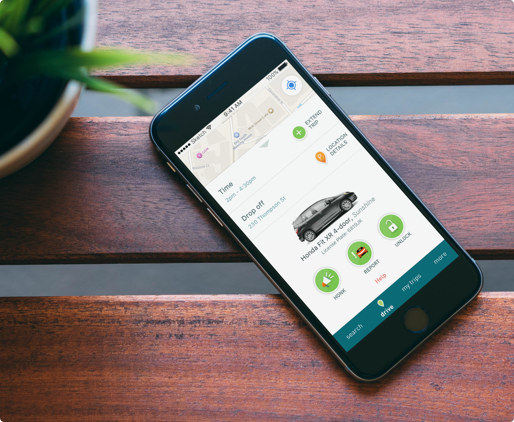 Report damage, a dirty car, or low fuel using the Zipcar app. Don’t forget to take personal belongings when the trip ends, and throw away or recycle any trash. Don’t leave the next member hanging. Be on time (and avoid a $50 late fee). Drivers can text or use the app to extend their reservation. What if the Zipcar is damaged? Before driving, inspect the Zipcar inside and out. While we expect the previous member to leave the Zipcar in good standing, it’s important to report any issues before driving. Learn more. How do drivers extend a reservation? Provided that another member does not have a reservation immediately after, drivers can extend a trip using the mobile app or by texting. If the car isn't available, they'll need to return on time to accommodate the next reservation. What happens if drivers are late in returning a Zipcar? The key to car-sharing success is returning on time. Late members can end up impacting others who have following reservations. To avoid returning late, always make sure to book the Zipcar for the time needed and extend when running behind. Zipcar does take late returns seriously and we will charge a $50 late fee if the Zipcar is returned late.